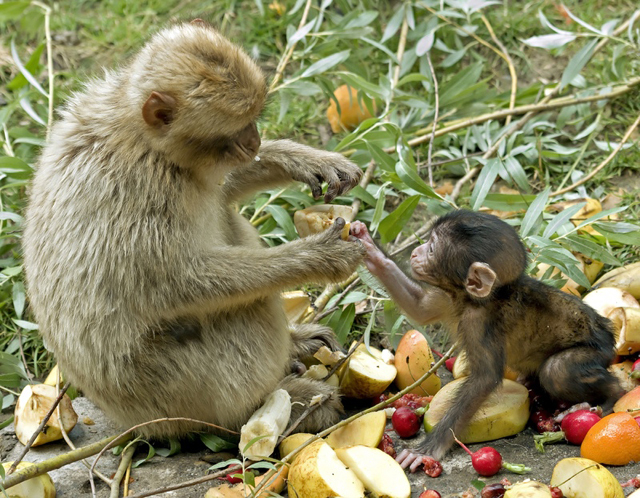 The Drunken Monkey: Is Our Desire for Booze an Evolutionary Hangover? The insatiable allure for alcohol comes in a variety of conspicuous forms, from severe alcoholism to the occasional beer with close friends, wine tastings, cocktail parties, and well…most of us remember those late Friday nights in college when you stumbled home *slightly* inebriated. As speculation has it, our alcohol intake may actually have an evolutionary explanation, buried deep within our fruit-eating past. Are man’s hankerings for beer, wine, and liquor linked to a natural survival mechanism? Pursuit of alcohol is not solely a human quest, albeit some of us consume to excess more than any other species. 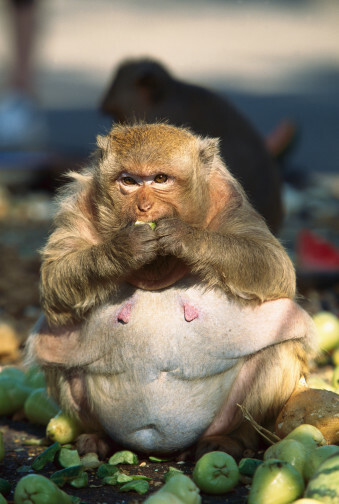 Primates, in particular, ingest alcohol in their fruit diets. Howler monkeys consume up to 10 drinks worth of alcohol in fruits in one sitting. You can imagine what kind of effect this induces (remember that howler monkeys spend all their time swinging through the trees). According to Robert Dudley, a biology professor at UC Berkeley, our ability to smell and crave alcohol relates to how frugivores (fruit-eaters) detect the ripeness of fruits. While observing monkeys in Panama, Dudley hypothesized that the ability to detect alcohol levels helped the fruit-eating ancestors of humans and primates succeed evolutionarily. Yeast (which are actually tiny fungi) ferment sugars into ethanol, the molecule responsible for the tangy taste of drinking alcohol. Ethanol shows up only in the most delectable, juiciest of fruits. Animals seek out such morsels during their daily hunt for food, using the fragrance of ethanol as one of the cues for scrumptious snacks. Ethanol is associated with feeding highs, including caloric gain and satisfaction. Even fruit-flies have fallen prey to ethanol’s allure. In lab experiments, flies that experienced intermediate levels of ethanol had about 20% longer lifespans. A study conducted at Harvard School of Public Health reflects humans derive health benefits from ethanol, as well. Moderate alcohol intake (one drink a day) leads to increased cardiac health, insulin resistance, and reducing inflammation. (Anything more than this reduces health by introducing greater risk factors). Perhaps attraction to mild forms of alcohol is an evolutionary hangover. 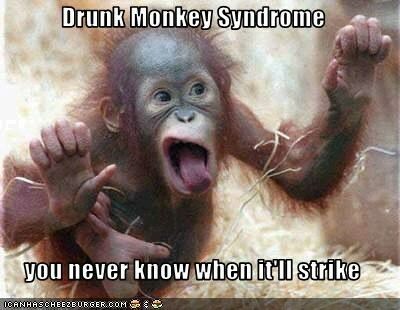 Of course not everyone wants to jump on the drunken monkey bandwagon. Dr. Katharine Milton, a primatologist at UC Berkeley, comments that overripe fruits contain higher levels of ethanol than ripe fruits- so why wouldn’t primates be repulsed by the smell? Is the appeal of alcohol instead just a human desire for a mind-altering substance? Or is it truly grounded in our evolutionary past? Dudley, Robert. (2014). 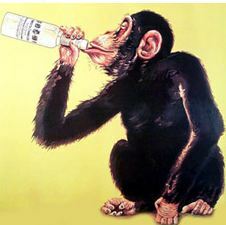 The Drunken Monkey: Why We Drink and Abuse Alcohol. University of California Press. Milton, Katharine. (2004). Ferment in the family tree: does a frugivory dietary heritage influence patterns of contemporary patterns of human ethanol use? Integrative and Comparative Biology 44(4): 304-314.